The all-new 2015 Mercedes-Benz C-Class is getting a complete remodel inside and out and Mercedes released the first images. The new 2015 Mercedes C-Class hasn’t even been released yet, but Mercedes is giving us a good idea of what to expect from the remodeled cabin. Mercedes has released a few images of the interior of the new next-generation C-Class and it looks stunningly beautiful. 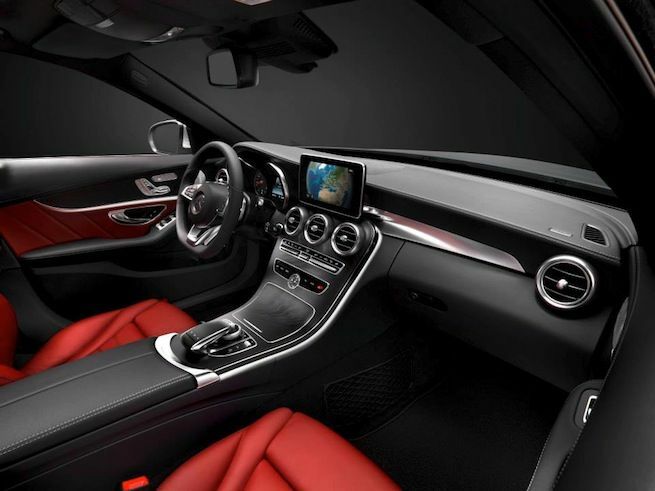 Only Mercedes could pull off a revamed interior that looks this good. On the Mercedes-Benz Facebook page they revealed the new cabin of the next-gen C-Class and it will be coming with a new design that is “crisp, clean and contemporary.” Mercedes also tells us it will feature new upgraded materials throughout and it will be coming with new high-tech features. Everything form the new CLA-Class which is designed for a new generation of buyers to the new 2015 C-Class is getting high-tech upgrades to keep people connected. The next-generation C-Class will feature a new and innovative central touch pad allowing all head unit functions to be operated with a few simple finger gestures. It will also be coming with a new high-tech state of the art heads-up display that sounds like will be more advanced than anything we’ve seen from any automaker. The Mercedes release said it will be a “unique interplay of forward-thinking design and technology” We have seen this from Mercedes-Benz in the new S-Class that was just released with more new technology than ever before. Mercedes-Benz also revealed the new 2015 C-Class model will be getting a new lightweight body shell. This will be needed to help achieve the new fuel mileage standards around the globe. The C-Class is truly a global car and sells extremely well in the U.S., Europe and China. It also sells well in South Africa and the BRIC countries. Mercedes-Benz has supplied customers with over 10 million cars of the C-Class family around the globe. The first C-Class was launched in 1982 the brand has now sold more than 2.3 million sedans, estates and coupes of the current generation alone since it was unveiled in 2007. The all-new 2015 Mercedes-Benz C-Class will be coming next year with a new lightweight exterior body shell and a totally remade first-class interior with new high quality materials and high-tech gadgetry. Stay tuned to Torque News for the latest 2015 C-Class News. Watch Mercedes-Benz More Class Teaser video.